Working life in Malta - key characteristic of working life across a range of parameters. According to the European Quality of Life Survey (EQLS), both life satisfaction and happiness have increased in Malta between 2011 and 2016. Life satisfaction increased from 7.2 to 7.6 and happiness from 7.2 to 7.7 (on a scale of 1–10). Both of these rates are also higher than their corresponding EU28 averages. Respondents in Malta were also more optimistic in comparison to the average Europeans in 2016: 72% of respondents were optimistic about their own future, compared to an EU average of 64%, and 77% were optimistic about their children’s or grandchildren’s future, versus an EU average of 57%. In addition, both self-perceived health and the Mental Well-being Index have improved in Malta in recent years. In 2016, 69% of respondents in Malta reported being too tired from work to do household jobs at least several times a month, which was higher than the corresponding EU28 average of 59%. Furthermore, 38% of respondents in Malta experienced difficulties to fulfil family responsibilities because of work at least several times a month, matching the EU28 average of38% in 2016. The least common work–life balance problem was having difficulties to concentrate at work because of family responsibilities, reported by 13% of respondents in Malta in 2016 and lower than the EU28 average of 19%. Perceived tensions between poor and rich people have fluctuated in Malta between 2003 and 2016. The share of people reporting a lot of tension between poor and rich decreased from 28% in 2003 to 14% in 2007, increased again to 28% in 2011, and subsequently dropped to 16% in 2016. This is significantly lower than the respective EU28 average, which was 29% in 2016. Similarly, the trend in tensions between different racial and ethnic groups has not been linear. The share of people reporting a lot of this type of tension decreased from 50% in 2003 to 36% in 2011, but increased substantially to 49% in 2016, rising above the EU28 average of 41%. Many of the quality ratings for public services are higher in Malta than on average in the EU. Additionally, their perceived quality has increased during the period of observation in the EQLS. For instance, the quality of health services increased from 6.6 in 2003 to 7.8 in 2016, rising higher than the EU28 average of 6.7 in 2016 (on a scale of 1–10). Furthermore, Malta has the highest quality rating for childcare services among the EU countries, reaching 8.0 in 2016. The state pension system is the only public service where the quality rating has decreased, falling from 7.2 in 2011 to 5.8 in 2016. However, this rating is still higher than the respective EU28 average of 5.0 in 2016. This profile describes the key characteristics of working life in Malta. It aims to complement other EurWORK research by providing the relevant background information on the structures, institutions and relevant regulations regarding working life. This includes indicators, data and regulatory systems on the following aspects: actors and institutions, collective and individual employment relations, health and well-being, pay, working time, skills and training, and equality and non-discrimination at work. The profiles are updated annually. A notable feature of Maltese industrial and employment relations is the mechanism which is often set in motion to prevent trade disputes from escalating, and this was much in evidence in 2018. Friction arose between the government and the Medical Association of Malta (MAM) as a result of a government decision to transfer the management of three state hospitals to a private firm. Following industrial action by doctors, meetings were held between the parties involved in the dispute and an amicable settlement was soon reached. In another trade dispute, between Air Malta pilots and the airline, mediation by a former President of Malta proved to be crucial to its resolution. These two trade disputes were notable for their knock-on effects in terms of bolstering white-collar militancy. The industrial action, actual or threatened, by airline pilots and doctors prompted other unionised professionals, such as nurses and teachers, to take similar action in registering trade disputes with government. Online communication between trade union members and officials, as demonstrated by the Maltese doctors and airline pilots during the bargaining process, had also given a new face to solidarity, which has characteristically been the basis of trade unionism. It appeared that the picket line, with its aim of ensuring solidarity and enforcing commitment to the industrial action by the trade unions, may no longer be needed. Another broader issue in the context of Maltese industrial and employment relations in 2018 was the increased heterogeneity of the Maltese workforce, due mainly to the influx of foreign workers. While this phenomenon was perceived by the government as a sign of the vibrancy of the economy, there seemed to be a lurking fear that it might have a negative effect on demographic trends and cultural aspects of Maltese society. As this issue became infused with political overtones, the trade unions and employers opted to play a low-key role. Data of registered trade union members between July 2017 and June 2018 does not suggest that the Maltese trade unions were profiting from this influx of foreign workers. As of 2019, the slight increase in trade union membership falls far short of the substantial increase in the Maltese workforce. It is evident that the trade unions have to adjust their recruitment strategies and policies in order to keep in step with the trends and ongoing changes in the Maltese labour market. From the perspective of employers, as stated in a press release by the Malta Employers’ Association, the influx of foreign workers has enabled the Maltese economy to better reconcile supply and demand within the labour market. 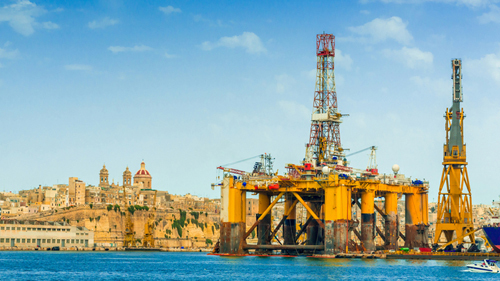 The pattern of events and outcomes of the issues raised in the arena of Maltese industrial relations in 2018 do not indicate any kind of noticeable fatalistic acceptance among the actors involved of the sequence of the elements that shape and influence it. As regards the issue of foreign workers, however, symptoms of this fatalistic mood may be present. Between 2012 and 2017, Malta's GDP increased considerably by 26.4%, above the EU average of 7.4% for the same period. During this time, unemployment fell for all categories and remained well below the EU average, with total unemployment at 4.0% in 2017 (the EU average was 7.6%). The largest decrease was in youth unemployment (-3.7 percentage points). Total employment in 2012–2017 increased by 7.3 percentage points to 70.4% but remained below the EU average of 73.4%. The largest increase in the five years was in the female employment rate (9.9 percentage points). Youth employment in 2017 stood at 52.7%, above the EU average of 41.7% for that year. The Employment and Industrial Relations Act (EIRA), Chapter 452 of the Laws of Malta, is the main labour legislation which regulates the minimum conditions of employment, employers’ associations and trade union representation. The EIRA is complimented by a number of Legal Notices and 31 Wage Regulation Orders covering different sectors in the economy. The introduction of new employment-related legal notices are first discussed within the Employment Relations Board (ERB), which is a national consultative body set up by the government as provided by the provisions of the EIRA. The ERB makes recommendations to the minister responsible for labour, so that issues discussed are eventually included in a national standard order or a sectoral standard order. The provisions of the EIRA are safeguarded by the Department of Industrial and Employment Relations (DIER) mainly through the Enforcement Section and the Industrial Tribunal. Collective bargaining in Malta is generally conducted at company level between a single trade union representing more than 50%+1 of the employees as members) and a single employer. Collective bargaining usually leads to a collective agreement. In the public service, where trade unions are traditionally stronger, a collective agreement is signed by seven trade unions. Government corporations/agencies/units are covered by separate collective agreements negotiated respectively for each body. In the absence of collective bargaining, remuneration and other conditions of employment are determined by free individual bargaining. However, the Maltese legal framework provides for a National Minimum Wage (NMW), introduced in 1974, and for 31 sectoral wage agreements by means of the Wage Regulation Orders (WROs). The WROs were composed by tripartite Wage Councils which were superseded by the Employment Relations Board in 1992. The establishment of the tripartite Malta Council for Economic Development in 1990 (which later became the Malta Council for Economic and Social Development (MCESD), facilitated a more co-operative industrial relations approach on a national level. For instance it has led to the National Agreement on Industrial Relations (1990) establishing a mechanism based on the inflation rate, for the calculation of the yearly Cost of Living Allowance (COLA) which is granted to all employees. The National Agreement on the Minimum Wage signed between social partners in April 2017 is the most recent example of such a co-operative model. Adherence to statutory minimum wages and collective agreements is monitored by the Department of Industrial and Employment Relations (DIER) and breaches can be investigated by the same department, and tried in front of the Industrial Tribunal, Criminal Court and Civil Court. The DIER is also involved in cases requiring conciliation, according to the Employment and Industrial Relations Act (2002). In February 2016, the Constitutional Court ruled that the EIRA provisions for the appointment of tribunal members offer no guarantee that tribunals will be independent and impartial. Consequently, in June 2016, Act No XXXIIII of 2016 –- The Employment and Industrial Relations (Amendment) Act 2016 – was enacted. Among the most important aspects of these amendments were the increase in the tenure of office of chairpersons and members to five years from the previous three-year period. They may also be reappointed for another period of five years on the approval of the Employment Relations Board. This is aimed at guaranteeing security of tenure. Cases requiring a Tribunal should be composed of three members and the member representing the government is now to be chosen by the chairperson from a list of members appointed by the minister. Prior to these amendments, the minister had the power to appoint such a member ad hoc, which could have raised the suspicion of bias, for instance, in disputes between entities in which government is the majority shareholder and trade unions. Trade unions, employers’ organisations and public institutions play a key role in the governance of the employment relationship, working conditions and industrial relations structures. They are interlocking parts in a multilevel system of governance that includes the European, national, sectoral, regional (provincial or local) and company levels. This section looks into the main actors and institutions and their role in Malta. The main public authority for dealing with industrial relations issues is the Department for Employment and Industrial Relations (DIER) which falls under the Ministry for Social Dialogue, Consumer Affairs and Civil Liberties. The DIER incorporates: the Labour Inspectorate which is part of the Enforcement branch; the Industrial Tribunal section; and the Registrar of Trade Unions. It also deals with mediation and consultations in trade disputes. The DIER houses meetings of the tripartite Employment Relations Board (ERB), which discusses employment legislation and other employment matters. The Occupational Health and Safety Authority Malta (OHSA) is the entity responsible to ensure that all levels of occupational health and safety protection established by Act XXVII of 2002 and related regulations are adhered to mainly through inspection and court action. The OHSA processes queries from employees and employers and gives advice, and publishes informative material relating to occupational health and safety. Jobsplus (formerly Employment and Training Corporation – ETC) is the national employment agency. Its main function is that of meeting the labour market needs of employers, jobseekers and employees, for instance by organising training schemes and job matching services. Jobsplus also regulates employment registration and among its tasks is to deal with undeclared employment and work permits. The National Employment Commission, set up according to the provisions of the Employment Commission Act Chapter 267 of the Laws of Malta, aims to guard against discrimination in employment on political grounds. The Malta Council for Economic and Social Development (MCESD) is a national tripartite body acting as an advisory council that issues opinions and recommendations to the Maltese government on matters of economic and social relevance. The Council has a distinct legal personality, is appointed by the Prime Minister and is composed of the following members: a chairperson; deputy chairperson appointed by the Prime Minister from among members of the public service; 10 people nominated by representative national employers’ and workers’ organisations constituted bodies; the Chair of the Gozo Regional Committee, ex officio; and the Chair of the Civil Society Committee (Source: Malta Council for Economic and Social Development Act 2001). The Employment Relations Board (ERB) was set up following the enactment of the Employment and Industrial Relations Act 2002. The board is composed of 13 members composed of an independent chairperson, four employers’ representatives, four employees’ representatives and four members appointed by the government. The ERB discusses employment related matters and makes recommendations to the minister responsible for labour, before the publication of any employment-related legislation. Trade unionism in Malta has maintained its significance as reflected in the table below. According to the reports issued by the Registrar of Trade Unions, the trend in trade union membership followed an upward trend from 86,702 in 2011 to 96,406 in 2016. On the other hand, trade union density dropped by 4% during the same period. The right of employees to join a trade union is guaranteed by the principle of the right of assembly and association set out in Article 42, Chapter 4 of Constitution of Malta. Maltese trade unionism remains based on the British model, reflecting the traditions of British colonial rule. The model places high emphasis on the shop steward, who is the important link between the shop-floor and the trade union upper hierarchy. Among other roles, the shop steward carries out day to day union activities at shop floor level, including the recruitment of members. The evolution of industrial relations in Malta has led to a more cooperative scenario between stakeholders. To be officially recognised and thus gain legal protection, a trade union must be registered by the Registrar of Trade Unions in accordance with the EIRA (Title 2, part 1). This would require a trade union to have at least seven members who are required to sign the relevant application form. In order to be officially recognised at the place of work, the practice is that a trade union must at least represent 50% + 1 of employees who are members of the union in accordance with Legal Notice 413 of 2016, namely the Recognition of Trade Unions Regulations. Nonetheless, employees in various enterprises, in particular in the public sector, set up different bargaining units and thus obtain separate recognition according to their class of employment. In the Various Laws (Trade Union Membership of Disciplined Forces) Act 2014, members of disciplined forces are given the right to join a registered trade union of their choice. Such members are now entitled to negotiate the conditions of employment and to participate in dispute resolution procedures, although they cannot take any other form of industrial action in contemplation or furtherance of a trade dispute. These provisions came into force in 2015. Reports by the Registrar of Trade Unions for the corresponding years (DIER). Reports by the Registrar of Trade Unions for the corresponding years. Malta has three trade union confederations which are the General Workers Union (GWU), the Confederation of Maltese Trade Unions (CMTU), and the Forum Unions Maltin (FORUM). *Indirect involvement through member unions. A National Trade Union Forum was launched on July 2014. It is composed of a total of 22 unions, the Office of the President and the Centre for Labour Studies at the University of Malta. The tasks of the forum include information campaigns, holding seminars and carrying out scientific research to gauge public opinion on trade unions. The forum aims to provide an opportunity for trade unions to share experiences and seek collaboration through dialogue. Among the activities carried out to date are seminars on the work of trade unions towards active aging through collective bargaining, dealing with multiple claims for trade union recognition, and the role of unions in closing the differences between workers’ rights for family-friendly measures in the public and private sectors. A national survey on trade unions in Malta was also carried out and its results discussed among trade unions (NFTU, 2015). To formally register a new employers’ association with the registrar of trade unions a minimum of seven members is required. Once registered, an organisation shall enjoy the rights granted by the EIRA as for instance can be able to ‘perform any act in furtherance of any of the purposes for which it is formed’ (EIRA section 51 (1)). Each year a registered employers’ association must supply the registrar of trade unions with the number of paid-up members, details of committee members, a copy of their annual report and an audited copy of their financial accounts (source DIER). Membership in employers’ associations is voluntary. According to the annual report of the registrar of trade unions 2015/2016, there were 14 employers’ associations registered with the registrar of trade unions with a total of 9,446 members. This figure marks a 6.25% increase over the one registered in 2005/06. Another important employers’ organisation, the Malta Chamber of Commerce, Enterprise and Industry, is not registered with the registrar of trade unions. *Percentage of employees working in an establishment which is a member of any employer organisation that is involved in collective bargaining. The main employers’ associations in Malta are the Malta Employers Association, the Malta Chamber of Commerce, Enterprise and Industry and the Malta Chamber of Small and Medium Enterprises. The Malta Council for Economic and Social Development acts as an advisory council that issues opinions and recommendations to the Maltese government on matters of economic and social relevance. The Employment Relations Board makes recommendations to the Minister responsible for labour as to: any national minimum standard conditions of employment for eventual inclusion in a national standard order; any sectoral conditions of employment for eventual inclusion in a sectoral regulation order; on conditions of employment; or on any matter referred to the Board by the Minister. In April 2017 the National Agreement on the Minimum Wage signed between social partners signalled the first revision of the minimum wage in 27 years. Minimum wage earners are now entitled to increases in their wages on completion of the first and second year of work with the same employer. Issues of economic and social relevance including cost of living adjustments, skills, working time, unemployment, utility prices, budget proposals, etc. Wages, working time and other issues involving employment conditions including relevant legislation. Employee representation at the workplace level is generally carried out by the shop stewards, acting on behalf of the union they represent, who are recognised in their role by their employer. Trade unions are regulated by the EIRA 2002. The rights and obligations of the trade union and its representatives at shop-floor level are also detailed in the collective agreements. The exchange of views and establishment of dialogue between the employees’ representatives and the employees. The employer must provide the information and consultation representatives with information on: (a) the recent and probable development of the undertaking’s activities and economic situation; (b) the situation, structure and probable development of employment within the undertaking and on any anticipatory measures envisaged, in particular, where there is a threat to employment within the undertaking; and (c) information and consultation on decisions likely to lead to substantial changes in work organisation or in contractual relations. The regulations concern undertakings employing 50 employees and over. A Council should be composed of a trade union representatives for each category of workers. In case of non-unionised employees the number of representatives so appointed or elected shall be of not more than one representative per unrepresented category and shall hold office for a period of three years from their date of election or appointment. A trade union must have at least seven members to be recognised by law. The practice for a trade union to be officially recognised at the place of work it must at least represent 50% + 1 of employees who are members of the union in that particular workplace. Shop floor representation is generally carried out by shop stewards, acting on behalf of the union. Competences include engaging in collective bargaining; engaging in industrial action in furtherance of a trade dispute; engaging in dispute resolution mechanisms. In the figure, we see a comparison between Malta and European Union for the people with 'Establishment size : All' when asked 'Official structure of employee representation present at establishment'. For the 'Yes' answer, Malta's score is lower than the European Union score. For the 'No' answer, Malta's score is higher than the European Union score. The National comparisons visualisation presents a comparative overview for the values of all answers between two selected countries. The fact that the vast majority of companies in Malta are micro businesses, such as family businesses which are usually non-unionised, could be one reason for the low rate of official employee representation structure in Maltese establishments, when compared to the EU rate. Collective bargaining in Malta is decentralised and takes place mainly at single-employer bargaining level. Employees voluntarily join a trade union and the union gains the right to negotiate on workers’ behalf once it reaches membership of 50% + 1 of employees working in a company, or in a particular job category within the company. The union informs the management of the company and the director of DIER of its intention to start collective bargaining within that company. Apart from collective negotiation, Legal Notice 2006 ‘Employee (Information and Consultation) Regulations’, which transposes Directive 2002/14/EC, establishes that the union has the legal right to be consulted and informed of all matters relating to employment relations. It should be noted that there have been cases where particular categories of employees claim separate recognition from that of other workers within the same organisation. Collective agreements are legally binding. Official data referring to collective bargaining in Malta is unavailable. The figures indicated below, particularly those derived from the Structure of Earnings Survey (SES), reflect the trade union density in Malta which is normally estimated to be around 55%–57%. A survey carried out in the last quarter of 2014 by the National Forum of Trade Unions (NFTU) indicates that 55.8% of all employees have a collective agreement at their place of work. This survey was based on a sample of 781 employees representing all employees in Malta. The figure excludes employees who are unsure as to whether or not they have a collective agreement at their place of work. The NFTU is composed of 22 trade unions (NFTU, 2015). The collective agreement for public service employees can be regarded as the sole agreement on a sectoral level and covers around 32,000 employees. Collective bargaining in Malta takes place mainly at company level. The latter include entities in which the state is the majority shareholder and statutory independent bodies which employ around 11,000 employees all covered by individual company-level agreements and the private sector which employs around 125,000 persons. According to a report issued by the Central bank of Malta, Results of the 2014 Wage Dynamics Network for Malta, around 23% of workers in the private sector were covered by a collective agreement in 2013. An estimate based on these criteria would indicate that employees in the public service make up 45% of total employees in Malta covered by a collective agreement while employees that are covered by a company-level collective agreement make up the remaining 55%. No level can be regarded as predominant, with the company level being the main bargaining level in Malta. *Sectoral level in this case refers to the Public Service. Articulation does not apply to Malta. While collective agreements occur throughout the year, one can generally note the conclusion of a number of collective agreements, mostly concerning the public sector, during the weeks immediately prior to political elections. Collective bargaining coordination across sectors is limited to that facilitated by the government, through existing legislation, within tripartite boards. For instance, an Incomes Policy Agreement was reached between the social partners in 1990 within the tripartite Malta Council for Economic and Social Development (MCESD), where the mechanism of the annual cost-of-living adjustment based on the Retail Price Index was established. The annual cost-of-living adjustment rate is mandatory. The basic rate of all wages across the economy must be topped up with this increment every year. Within the public sector, the Public Administration Collective Bargaining Unit is explicitly responsible for coordinating wage changes in this sector. There are no extension mechanisms relating to collective agreements in the Maltese system. Derogation is not possible. Respect for collective agreements is monitored by relevant trade unions and DIER and derogations can be contested through the Industrial Tribunal and the courts. The existing collective agreement remains valid until it is superseded once a new one is signed. There is no obligation to hold industrial peace during the validity of a collective agreement. Usually collective agreements include clauses containing the procedure to follow in order to solve an industrial dispute. The collective agreement for public service employees 2017–2024 includes an upgraded structure of qualification allowances. The Public Administration emphasises the enhancement of qualifications and skills of its employees, so much so that it set up the Institute for Public Services in collaboration with the University of Malta and MCAST. This collective agreement also provides a new measure for employees who choose to work after reaching their retirement age. These employees can now avail of their pre-retirement leave once they retire from service. A new measure was included in the latest collective agreements pertaining to companies operating in the banking sector. This involved the abolition of the traditional grade structure to a ‘position-based’ system which relies on a job evaluation exercise. Such collective agreements also include a number of family-friendly measures. The agreement for teachers in state schools signed in 2017 includes the creation of a work resources fund. Teachers shall be provided with up to 360 hours of training to help them to achieve a quicker career progression. A change in syllabi is also addressed, in order to give teachers more autonomy and freedom during their lessons. the membership or non-membership of a worker in a particular trade union. The law does not specifically mention the legal types of industrial action but it refers to it as an act done by a person in contemplation or furtherance of a trade dispute and in pursuance of a directive issued by a trade union, whether he belongs to it or not. (b) alleged to be threatened or to be intended to be done as aforesaid, against the union or association in its own name, or against any members, officers or officials of the union or association on behalf of themselves and all other members of the union or association. An act done by a person in contemplation or furtherance of a trade dispute and in pursuance of a directive issued by a trade union, whether he belongs to it or not, shall not be actionable in damages on the ground only that it consists in a breach of a contract of employment; and any act done as aforesaid, not being an act in breach of a collective agreement, or of a settlement, decision or which is still binding in accordance with the provisions of article 70 or 72, or of a decision or award of the Tribunal, shall not by itself entitle the employer to terminate the contract of employment of, or discriminate against, any person doing any such act as aforesaid, and shall not constitute a break in the service of such person. or, following an application by both parties to the dispute, refer such a trade dispute to the Industrial Tribunal. In cases where a voluntary settlement is reached, a memorandum with the terms of the agreement is drawn up and signed by the parties involved or their representatives. Such a settlement is binding on the parties and on the workers represented. With regards to the Public Service the government and the trade unions agreed in the collective agreement for public service employees 2005-2010 about the setting up of a conciliatory structure. This is composed by a Chairman and two members, all three appointed by the government in consultation with the trade unions. Conciliation meetings are to be arranged prior to resorting to industrial action. Individual employees can resort to the dispute resolution services provided by the Department of Industrial and Employment Relations (DIER). DIER Inspectorate/Customer Care Unit: This unit deals with cases mostly involving non-unionised persons with complaints about the conditions of employment at their present place of work. The section investigates all types of alleged breaches relating to the conditions of employment and attempts to solve them without the need to refer such cases in front of Criminal Law Courts. Cases involving discrimination and unfair dismissal are referred to the Industrial Tribunal. Inspections at the workplaces are effected if required, and once a breach is detected it is followed up by the relevant officers. If the employer does not comply the case is referred to the Criminal Law Courts. DIER Enforcement/Termination Section: The Enforcement Section of the DIER offers its services to employees after the termination of their employment. The officers of this section discuss any alleged breach of the labour laws and regulations with the claimant and possibly also with the employer in order to find an amicable solution. Failure to find a solution would lead to the registration of a formal claim and the matter will be investigated by the officer concerned. If still no settlement is reached, the matter will be referred to the Police for Court action. The Industrial Tribunal: The Industrial Tribunal is another arm of the DIER which consists of a Chairman and two members representing workers’ interests and employers’ interests respectively in cases of industrial disputes. In cases of alleged unfair dismissal, the tribunal is solely made up of a Chairman. Its decisions are binding and may not be appealed against for a period of at least one year, while in cases of unfair dismissals, the rulings may provide for the reinstatement or award compensation of the employee concerned. Individual employment relations are the relationship between the individual worker and their employer. This relationship is shaped by legal regulation and by the outcomes of social partner negotiations over the terms and conditions governing the employment relationship. This section looks into the start and termination of the employment relationship and entitlements and obligations in Malta. The Employment and Industrial Relations Act 2002 (EIRA) defines a ‘contract of service’ and ‘contract of employment’ as ‘an agreement, (other than service as a member of a disciplined force) whether oral or in writing, in any form, whereby a person binds himself to render service to or to do work for an employer, in return for wages, and, in so far as conditions of employment are concerned, includes an agreement of apprenticeship’. This definition recognises a verbal agreement as enforceable by law. However, in those cases where no written contract of employment has been signed between the employee and the employer, the latter is bound to give the employee a signed statement indicating the basic conditions of employment as provided by Legal Notice 431 of 2002 – Information to Employees Regulations, 2002. The signed statement should include the following information: The date of commencement of employment; the period of probation; the normal rates of wages payable; the overtime rates of wages payable; the normal hours of work; the periodicity of wage payments; in the case of a fixed or definite contract of employment, the expected or agreed duration of the contract period; the paid holidays, and the vacation, sick and other leave to which the employee is entitled; the conditions under which fines may be imposed by the employer; the title, grade, nature or category of work for which the employee is employed; the notice periods to be observed by the employer and the employee should it be the case; the collective agreement, if any, governing the employee’s conditions of work; and any other relevant or applicable condition of employment. The signed statement or the contract of employment must be issued within eight working days from the commencement of employment (or from the date of commencement of the contract of employment). The minimum working age is 16. The Director of Industrial and Employment Relations can issue an authorisation for the employment of minors under 16 years if (a) an exemption certificate, obtainable from the Directorate for Educational Services (DES) is produced and (b) The employer has carried out a risk assessment to confirm that the work is not dangerous for the minor. Commencement of employment must be registered at Jobsplus, formerly known as the Employment and Training Corporation. Dismissal and termination procedures are regulated by section 36 of the Employment and Industrial Relations Act, 2002 (EIRA). If the employment is terminated during a probationary period, a one week’s notice applies if the length of service is longer than one month. After the expiry of the probation period, the notice period increases according to the length of employment, up to a maximum of 12 weeks after ten years in employment. Longer periods may be agreed by the employer and employee in the case of technical, administrative, executive or managerial posts. If of his/her own free will, the employee fails to give notice or does not work all the notice period, the employee is obliged to pay a sum equivalent to half of the wages due for the notice period not worked. If the employer does not allow the employee to work all or part of the notice period, the employer is obliged to pay a sum equivalent to the full wage due for the notice period not worked. If the employment is terminated due to a justified cause such as an illness, the notice due is waived. When an employer terminates employment due to redundancy, the employee can refuse to work the notice period or part of it, and the employer shall still have to pay the employee a sum equivalent to half of the wages due for the notice period not worked. If the employer does not allow the employee to work all or part of the notice period, the employer is obliged to pay a sum equivalent to the full wage due for the notice period not worked. Should a post made redundant be available again in a period of one year, the employer is obliged to offer the job to the redundant employee. An employer can dismiss an employee for a ‘good and sufficient cause’, and if the cause is valid then the notice due is waived. If an employee feels that he was unjustly dismissed he/she can initiate proceedings in front of the Industrial Tribunal on grounds of unfair dismissal, by means of a referral in writing consisting of a declaration stating the facts of the case. The referral must be produced within four months from the effective date of the alleged breach. If a fixed term contract of employment is terminated after the expiry of the probation period without good reason, the party who breaches the contract is liable to pay the other party a sum equal to half the full wages that would have accrued had the contract of employment remained in force. In redundancy situations the employer must follow the procedure of last in/first out in the same category, regardless of whether an employee is on an indefinite or fixed term contract. This procedure does not apply in cases involving businesses that are neither a limited liability company nor a statutory body, if the next in line for redundancy is a blood relative of the employer up to the third degree. If a contract of service is terminated after the expiry of one month, the employee has the right to ask the employer for a certificate stating the duration of the employment, the nature of the work or services performed and, if the employee so desires, the reason for the termination of the contract and the rate of pay. However the employer is not obliged to state the reason for termination of employment if the employment was terminated during probation. In cases involving collective redundancies the employer must follow the procedures set out in Legal Notice 428 of 2002 – the Collective Redundancies (Protection of Employment) Regulations . The dismissal and termination procedures in the public service are regulated by Legal Notice 66 of 2017 (Constitution of Malta) namely the Public Service Commission Disciplinary Regulations, 2017, by the Public Service Management Code and by the Collective Agreement for Public Service Employees 2017-2024. 336 of 2016: the Adoption Leave National Standard Order (2016). Prior to such legislation, an employed adoptive parent was only eligible to unpaid leave under the Parental Leave Entitlement Regulations (2003). Legal Notice 156 of 2017 grants up to 60 hours of paid leave to an employee undergoing IVF treatment. An additional 40 hours may be availed of by the other prospective parent. This leave can be availed of all in one stretch or split over a longer period of time, according to the duration of treatment and is available for up to three IVF treatment processes. 14 weeks at the normal rate of pay, 4 weeks paid at the rate of €166.26 per week as established by the Social security Act. The employer is obliged to pay for the first 14 weeks of maternity leave. The employee may be entitled to payment for the remaining four weeks from Social Services if they fulfil the conditions set out in the Social Security Act. A Maternity Leave Trust Fund was established in 2015, in order to deal with the disproportionate expenses previously incurred by employers in maternity leave. The trust fund collects contributions from all employers equivalent to 0.3% of the basic salary of all their employees. Employers are refunded for 14 weeks of the salaries paid to employees who avail of maternity leave. IVF leave is to be paid by the employer. Both male and female workers have the individual right to take care of a child for a period of four months until the child has attained the age of eight years. Parental leave can be taken in fixed periods of one month each. Collective agreements may offer a better parental leave entitlement that the one provided by these regulations (e.g. public service employees are entitled to a maximum of one year’s parental leave for each child). In all cases, there are no mandatory periods for fathers. The latest data available about the level of uptake of parental leave in the public sector refers to 2014. According to the Family Friendly Measures Report 2014 issued by the Office of the Prime Minister, there were 486 employees in the public service and 134 employees in the rest of the public sector who made use of this measure in that particular year, marking a 28.9% and 9.84% increase respectively over 2013. No data is available for the private sector. In the private sector Paternity leave (Birth Leave) entitlement for fathers is linked with the birth of a child and is granted according the relevant Wage Regulation Order pertaining to a particular sector. In cases where the type of activity of work does not fall under the remit of any Wage Regulation Order Birth Leave is regulated by Legal Notice 432 of 2007 - Minimum Special Leave Entitlement Regulations and which amounts to one working day of paid leave. Collective agreements may offer a better entitlement than the one provided by legislation. In the public service, entitlement is 2 days paid leave. The Sick leave entitlement of an employee varies according to the relevant Wage Regulation Order regulating the specific sector. If the type of activity of work does not fall under the remit of any Wage Regulation Order, the sick leave entitlement of an employee is covered by Legal Notice 432 of 2007 – Minimum Special Leave Entitlement Regulations and which amounts to two working weeks per year. Sick leave has to be covered by a medical certificate which has to be presented to the employer. If an employee remains sick and exceeds three continuous working days on sick leave, the employer would deduct the sickness benefit from the Social Security to which the employee may be entitled from the fourth day onwards (in case of continuous sick leave). If an employee remains sick after having exhausted all the sick leave entitlement, s/he will only continue to receive the Sickness benefit from the Social Security to which s/he may be entitled. The law does not specify the relationship between exhaustion of the sick leave entitlement and the termination of an employment contract. In all cases, if an employee feels that he was unfairly dismissed he/she can present the case in front of the Industrial Tribunal. If an employee’s contract is terminated for whatever reason and there are still pending payments including those relating to sick leave to be settled by the employer, the employee may register a claim with the enforcement section at the DIER to recover such payments. In 2006, amendments to the Social Security Act raised the retirement age from 61 to 65 years for both sexes. A person can still retire at the age of 61, if they have paid 35 years of NI contributions and was born between 1952 and 1961. Those who were born between 1962 and 1968 must have 40 years of paid NI contributions, while those born after 1968 must have 41 years of such contributions to be able to retire at the age of 61. Notwithstanding, someone who chooses to retire at 61 cannot work and receive the state pension until they reach 65 years of age. Pay: For workers, the reward for work and main source of income; for employers, a cost of production and focus of bargaining and legislation. This section looks into minimum wage setting in Malta and guides the reader to further material on collective wage bargaining. The average monthly basic wage increased by 16.7% between the 2nd quarter of 2012 and the corresponding quarter in 2017. Whereas the wage of males registered a 16.4% increase, that of females increased by 18.5%. The highest rate for both years was recorded in the Finance and Insurance sector. Statutory wage increments are still based on the cost of living adjustment mechanism (COLA), although a national agreement on raising the minimum wage (over and above the COLA) was reached between social partners in 2017. In 2017, Malta continued to register a positive economic growth while registering the second lowest unemployment rate among EU Member States. While this economic growth also led to higher skill shortages in the labour market, wage growth in return is considered to have been quite a moderate one. This may be attributed to an increase in the labour supply – mostly due to an influx of foreign workers. Malta has a statutory minimum wage which is established by Subsidiary Legislation 452.71, namely the National Minimum Wage National Standard Order. Moreover the minimum wages of 31 different sectors are regulated by corresponding Wage Regulation Orders which may be slightly higher than what is established by the NMW. The minimum wage is set according to the cost of living and inflation rates of the preceding twelve months as per Subsidiary Legislation 452.65. Minimum wage levels are adjusted on an annual basis and are based on an eight hour working day. The Cost of Living Adjustment (COLA) is a result of the National Agreement on Industrial Relations signed on 10 December 1990 between the Government, Trade Unions and Organisations of Employers, represented on the Malta Council for Economic Development. In the 2017 Budget, families with one breadwinner earning a minimum wage were granted a €4.38 weekly increase, while single people on the minimum wage received an annual increase of €126.36 over and above the COLA. This measure (the costs of which were borne by the government) was intended to convey a message to social partners that the minimum wage does not reflect the current healthy state of the Maltese economy. Eventually, social partners held talks to reform the minimum wage mechanisms and in April 2017 they signed a National Agreement on the Minimum Wage. The agreement became effective through Legal Notice 144 of 2017 and it provides for a gradual increase of the minimum wage based on a three-year period over and above the COLA. Moreover, the government announced that a mechanism shall be set up to advise the government about minimum wage increases every four years although no details about its composition were given yet. According to the Economic Survey 2017 issued by the Ministry of Finance (through an analysis based on collective agreements of a representative sample of companies deposited within the Department of Industrial and Employment Relations), the collectively agreed weekly wage increased by €7.38 or 2.1% between August 2016 and August 2017. Working time: ‘Any period during which the worker is working, at the employer’s disposal and carrying out his activities or duties, in accordance with national laws and/or practice’ (Directive 2003/88/EC). This section briefly summarises regulation and issues regarding working time, overtime, part-time work as well as working time flexibility in Malta. Working time in Malta is set by the Organisation of Working Time Regulations, Legal Notice 247 of 2003, by sectoral Wage Regulation Orders, and collective agreements which are generally conducted at a company level. Generally, the normal hours of work of a full-time employee are 40 hours a week. The Employment and Industrial Relations Act 2002 (EIRA) defines ‘overtime’ as any hours of work in excess of the normal hours of work. The minimum overtime rates in most sectors are stipulated in the respective Wage Regulation Order (WRO) that regulates their work activity. On the other hand, the overtime rates of those employees that are not covered by a Wage Regulation Order are regulated by Legal Notice 46 of 2012, namely the Overtime Regulations. This legal notice states that these employees are to be paid one and a half times the normal rate for work carried out in excess of a 40-hour week, averaged over a four week period or over the shift cycle at the discretion of the employer. The Organisation of Working Time Regulations, Legal Notice 247 0f 2003, gives the employee the right not to choose to work more than an average of 48 hours a week as prescribed by the regulations. Employees will be obliged to work overtime in excess of this average if they have given their consent in writing under the conditions stipulated by these regulations. The Protection of Maternity (Employment) Regulations, gives the right to employees to refuse to work overtime during pregnancy, or for a period of twelve months from either the birth of his or her child or from the effective date of the adoption of a child. Generally overtime is compensated as follows: any hours in excess of an eight-hour working day or of a 40-hour week – time and a half; any hours worked on a Sunday or public holiday, double time. However, as stated above, these rates vary in line with the Wage Regulation Order covering a particular sector. Individual Contracts may contain clauses setting the rate of an allowance which also covers any overtime that may be worked. This can be done as long as the rate agreed is not below the minimum rates of pay set by the relevant legislation. Overtime rates in collective agreements usually reflect the rates set by legislation. … provide for the removal of discrimination against part-time workers and to improve the quality of part-time work; and to facilitate the development of part-time work and to contribute to the flexible organisation of working time taking into account the needs of employers and workers. Among other things, this legal notice grants part-time workers all entitlements enjoyed by a comparable whole-time employee, such as holiday leave, sick leave and statutory bonuses on a pro-rata basis. There has been some growth in the proportion of part-time employment in recent years: in 2012, the rate was 12.3% of the total workforce, rising to 18.7% in 2017. The percentage of both women and men working part time remains below the EU average. The rate of involuntary part-time employment in Malta is quite positive when compared to the EU28 average. The low rate of unemployment in Malta could be a major contributing factor reflected in the figures, particularly those registered in 2017. A night worker is defined as a worker who works at least three hours of his/her daily working time as a normal course in the hours between 22.00 of any one day and 06.00 of the next day or works more than 50% of his/her annual working time in the hours between 22.00 of any one day and 06.00 of the next day. In the latter scenario, a collective agreement may provide for a lower proportion. The regulations define shift work as ‘any method of organising work in shifts, whereby workers succeed each other at the same work stations according to a certain pattern, including a rotating pattern, and which may be continuous or discontinuous, entailing the need for workers to work at different times over a given period of days or weeks’. Certain Work Regulation Orders provide for the entitlement of a shift allowance. There is no definition of weekend work in the labour legislation. However, most Wage Regulation Orders provide for the payment at a double rate for all hours worked on a Sunday. The Organisation of Working Time Regulations define a ‘rest period’ as any period which is not working time and which does not include leave to which a worker is entitled. Rest Breaks: In cases where the working day exceeds six hours, at least fifteen minutes of rest are to be granted to the worker. Daily Rest: Workers are entitled to a minimum daily rest period of 11 consecutive hours between working days. Weekly rest period: Workers are entitled to an uninterrupted weekly rest period of 24 hours in addition to the 11 hours daily rest within a seven day period, or 48 consecutive hours in a period of fourteen days in addition to the 11 hours daily rest. Exemptions: Legal Notice 247 of 2013 provides that in certain circumstances specified by the law, a worker may not avail of the full rest period. In such case, however, the regulations provide that equivalent compensatory rest periods are given to the said worker at times immediately following the corresponding periods worked. The regulations prohibit the practice of substituting rest periods with monetary compensation. Employment legislation does not deal specifically with flexible working hours. The EIRA defines a whole time employee, a whole time employee with reduced hours and an employee with part-time employment. Flexible working hours are dealt with in clauses in collective and individual agreements. For instance, the collective agreement for public service employees (2011–2016) provides for flexible working hours schedules. In 2014, there were 933 public service employees opting for flexi-time, marking a steady increase in employees opting for this (PAHRO, 2014). In the figure, we see a comparison between Malta and European Union for the workers with 'Age : All' when asked 'Do you have fixed starting and finishing times in your work?'. For the 'No' answer, Malta's score is lower than the European Union score. For the 'Yes' answer, Malta's score is higher than the European Union score. Data is based on question 39d from the sixth European Working Conditions Survey (2015).The National comparisons visualisation presents a comparative overview for the values of all answers between two selected countries. The above data might be indicative of a higher incidence of traditional contracts of employment in Malta. Maintaining health and well-being should be a high priority for workers and employers alike. Health is an asset closely associated with a person’s quality of life and longevity, as well as their ability to work. A healthy economy depends on a healthy workforce: organisations can experience loss of productivity through the ill-health of their workers. This section looks into psychosocial risks and health and safety in Malta. The data below show that there was a constant decline in injuries at the workplace. This trend could be attributed to the effect of more awareness created through local media campaigns and onsite inspections. Source: Occupational Health and Safety Authority, Annual Report 2016. Legislation on psychosocial matters is limited, with most health and safety legislation focusing on physical matters. The following are a few exceptions which refer to psychosocial matters. (i) by the development of a coherent overall prevention policy which covers technology, the organisation of work, working conditions, social relationships and the influence of factors related to the working environment. Legal Notice 36 of 2003, namely the General Provisions for Health and Safety at Work Places Regulations, without making a direct reference to psychosocial matters, does mention the importance of alleviating monotonous work and involving workers in consultations and participation. The People Support and Well-being Directorate within the public service adopts an Employee Support Programme (ESP) that aims to support public employees experiencing personal, emotional and/or behavioural problems which interfere with their work–life balance. Such an initiative indicates that there is increasing awareness of psychological well-being at the workplace, which is important in light of the fact that OHSA considers that work-related stress contributes to half of the sick leave availed of by workers (Times of Malta, 2013). In the figure, we see a comparison between Malta and European Union for the workers with 'Age : All' when asked 'Do you have enough time to get the job done?'. For the 'Always or most of the time' answer, Malta's score is higher than the European Union score. For the 'Rarely or never' answer, Malta's score is higher than the European Union score. For the 'Sometimes' answer, Malta's score is lower than the European Union score. Data is based on question 61g from the sixth European Working Conditions Survey (2015). The National comparisons visualisation presents a comparative overview for the values of all answers between two selected countries. The results quoted in the report above might be indicative of better working conditions. Skills are the passport to employment; the better skilled an individual, the more employable they are. Good skills also tend to secure better-quality jobs and better earnings. This section briefly summarises the Maltese system for ensuring skills and employability and looks into the extent of training. make recommendations to the Ministry for Education and Employment on how labour market and training programmes can be improved. Jobsplus has been adopted as the new name for the Employment and Training Corporation (ETC) which falls under the Ministry for Education and Employment. Jobsplus is the main entity that recommends policies and implements initiatives to assist jobseekers enter or re-enter the active employment market. It provides various initiatives targeted at specific categories, such as young new entrants, older workers and disadvantaged groups, to develop their skills and competency. Jobsplus also assists employers in their recruitment and training needs. The University of Malta and the Malta College of Arts, Science and Technology are the largest higher education institutions in Malta. They provide courses at various levels to thousands of students, thereby increasing the overall skills levels in Malta and helping to satisfy the changing needs of the labour market. The National Commission for Further and Higher Education (NCFHE) is responsible for the implementation of the national Qualifications Framework, quality assurance and qualifications recognition as part of the Bologna and Copenhagen Processes. NCFHE is also responsible for the creation of sector skills units, with the objective of ensuring the consistency and relevance of occupational standards within the sectors. Social partners are present in these units, which also have the objective to reduce skills gaps and skills shortage and to improve the skills and productivity of the workforce in the sector. In the figure, we see a comparison between Malta and European Union for the workers with 'Age : All' when asked 'Have you had on-the-job training in the last 12 months?'. For the 'No' answer, Malta's score is lower than the European Union score. For the 'Yes' answer, Malta's score is higher than the European Union score. Data is based on question 65c from the sixth European Working Conditions Survey (2015).The National comparisons visualisation presents a comparative overview for the values of all answers between two selected countries. The above positive results could be indicative of a dynamic economic situation in Malta which includes contributing factors such as the development of the services sector and an increased investment in technology in the manufacturing sector. For Malta, the European Company Survey 2013 shows that between 2010 and 2013 51% of establishments with 10 or more employees reported changes in the use of technology, 34.6% introduced changes in ways to coordinate and allocate the work to workers and 20.0% saw changes in their working time arrangements. In 2013 the Malta Business Bureau (MBB) published a study as part of the the SHIFT Project – ‘Supporting Human Resources In Family-Friendly Training’ . The study revealed that 68 out of the 72 companies that took part in the survey implement some type of flexible work and family-friendly measures. Among others it further reveals that 66.2% of Maltese companies believe that such measures present an opportunity to shift towards a better work–life balance, while 41.9% consider these measures as motivating factor for employees. 63.5% of companies correlate effective flexible work arrangements with retaining trained and valued employees, while 91.1% believe that these measures lead to increased loyalty towards the organisation. The Public Administration HR Office (PAHRO) – now known as People and Standards Division (PSD) – in its Family Friendly Measures Report 2014 revealed a 17.3% increase in employees taking up these measures in the public service (that is, in ministries and departments) over the previous years. A 6.37% increase was also registered among public sector employees (that is, employees working in entities in which government is the majority shareholder and authorities). The report indicates that more employees are seeking flexible work schedules and teleworking, particularly in the public sector. In the figure, we see a comparison between Malta and European Union for the workers with 'Age : All' when asked 'Are you able to choose or change your methods of work?'. For the 'No' answer, Malta's score is lower than the European Union score. For the 'Yes' answer, Malta's score is higher than the European Union score. Data is based on question 54b from the sixth European Working Conditions Survey (2015).The National comparisons visualisation presents a comparative overview for the values of all answers between two selected countries. The high level of discretion experienced by employees in Malta at their place of work as reported in this survey may be indicative of various factors. However, it could mainly reflect a situation in which a large segment of employees in Malta work in micro enterprises, where methods of work are less formalised than larger enterprises, thus leaving a higher degree of discretion in employees’ hands. Legal Notice 461 of 2004, Equal Treatment in Employment provides the legal basis for equality and non- discrimination at work. The Department of Industrial and Employment Relations (DIER) is the body entrusted with ensuring equality at work. Claims by persons involving discriminatory treatment, whether direct or indirect, in relation to employment are dealt with by the Industrial Tribunal which is situated within the DIER. A new Bill presented in parliament by the Minister for Social Dialogue, Consumer Affairs and Civil Liberties – the Equality Act – aims to strengthen the legal framework promoting equality at the workplace. For instance, this Act is expected to safeguard the recruitment of non-Catholic teachers in schools run by the Catholic Church. Legal Notice 461 of 2004, Equal Treatment in Employment (paragraph 3A) provides for the principle of equal pay for equal work. In 2014, the gender pay gap in unadjusted form in Malta was 10.6%, which compares positively to the EU28 countries (Eurostat). Malta does not have any specific legislative support measures for addressing the gender pay gap or any particular (re-occurring) social partner initiatives aimed at this goal. There are no legal obligations establishing quotas for women’s membership of public/private sector supervisory boards. The NCPE launched a Directory of Professional Women to identify qualified women in various fields by listing the qualifications, experience and skills of professional women and this can be a useful tool for their consideration in boards, committees and other decision-making positions. Moreover, in May 2016, a mentoring programme was launched to support women aspiring to hold decision-making positions. A research study about Gender–balanced representation in decision-making that was published in December 2015 indicated that while women are under-represented in board rooms and decision-making positions, the majority of women still feel that they work in an environment which promotes gender equality. The Disabled Persons (Employment) Act - Act No. II of 1969, Chapter 210 of the Laws of Malta compels companies that employ not less than 20 employees to employ a quota of disabled persons, chosen from the register of persons with disability. The percentage is established by the Minister responsible through a legal notice, after consultation with the Employment and Training Corporation. Legal Notice 157 of 1995, the Standard Percentage of Employment of Persons with Disability Order, sets the standard percentage at 2%. In April 2016, government and employers' associations signed a memorandum of understanding on the implementation of this threshold. NFTU (National Forum of Trade Unions) (2015), A national survey on trade unions in Malta, NFTU. Public Administration HR Office (PAHRO,2012), Family friendly measures handbook, PAHRO, Valetta. Times of Malta (2013), Stress is reason for half of sick leave, 26 March. Times of Malta (2014), President launches National Trade Union Forum, 23 July.